Knowing who we are is so important to self care. How can we take care of ourselves if we don’t know what energizes us, what calms us, what excites us? But sometimes it’s hard to know who we are if “who we are” is in a state of flux. We are always changing. And maybe giving ourselves this permission to change, to experiment with our identities, can be self care in and of itself? After listening to her albums and reading both her memoirs, I have decided to adopt Patti Smith as my fairy godmother of self care. Her descriptions of the coping skills, routines, and rituals she finds most important are inspiring, and have changed the way I think about caring for myself. In her search for her identity, Patti Smith gives herself permission to try out personalities, hobbies, and interests that don’t immediately feel like “her”. She experiments with being someone else. In doing this, she is able to discover and incorporate admired elements of others into her own identity, enriching her experience of herself. She does all this exploring while remaining authentic, letting her curiosity guide her, but staying true to herself and her values along the way. And name the phases you are going through. In M Train (her second memoir), Patti Smith shared her newly developed passions for detective shows, Japanese novels, and the Continental Drift Club. In each of these explorations, she finds something to connect with that enriches her life. Try out a phase for yourself. Take up chess. Attend a cooking class. If it fits, keep it (or aspects of it) and if not, move on to something else. Polyjuice potion your life up and expand your worldview by emulating a hero from literature or history. What would they wear/say/spend their time doing? Exploring new activities, points of view, and ways of being help broaden our experiences and allow us to learn more about ourselves. Patti smith did it over and over again in her youth, choosing to be Arthur Rimbaud one day, Bob Dylan the next. Dressing up and putting on a costume can be helpful in developing our own unique style, voice, personality. Becoming another can help us become more truly ourselves. And when we know ourselves more deeply we are better able to love ourselves and honor each quirky trait. 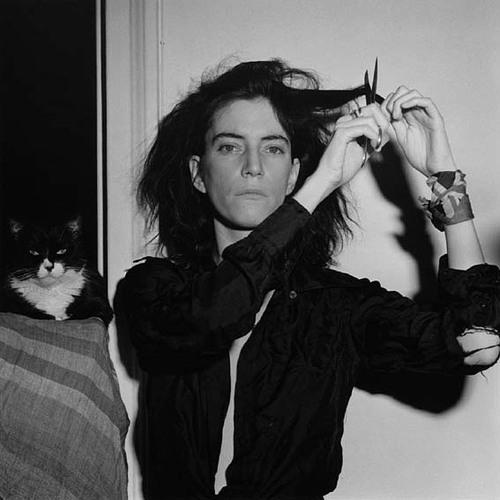 In her first memoir, “Just Kids,” Patti and her roommate/lover/best friend Robert Mapplethorpe go through phases that are reflected in the decor of the apartment they share. Magical objects and religious icons were replaced by sailor uniforms and war relics as interests shifted, only to be replaced again by metallic shades and black satin. Throughout these experiments, make sure you continue to engage in the routines that you already know are important to you. This consistency in the midst of experimentation has been important to Patti as well. Patti is always engaged in artistic expression. Whether she is journaling, sketching, painting, singing, composing music, or writing poetry, her need to communicate important ideas about life, art, and love remains. 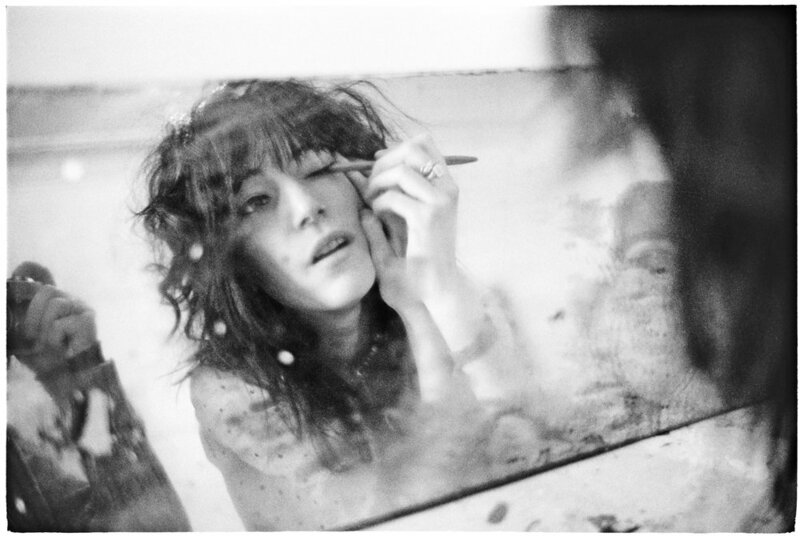 Throughout both her memoirs, Patti talks about magical qualities held in beloved objects. Collecting and using talismans and amulets in the form of a Persian necklace, a stuffed black lamb (Just Kids), Tarot Cards, a Haruki Murakami novel, and photographs of her travels (M Train), Patti finds comfort, inspiration, and a sense of home in these items. What are some of your self care rituals and routines that have remained consistent over the years? Try making a list of the habits that are essential to your ability to care for yourself. What are some new styles, hobbies, and personality traits you've been wanting to "try on?" Make a list of these as well, and figure out how to balance your time between experimentation with new habits and finding comfort in old routines.